Standish, ME - Steven Wayne Harmon of Standish Maine age 57, passed away, surrounded by family on April 3rd 2017 at7:00 pm., after losing his battle with cancer. 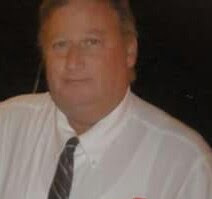 He was the loving husband of Reeta Harmon, beloved father of Leona Harmon, beloved son of Beverly Legrow Harmon, beloved brother of Lester Harmon, George Harmon, and Rinette Babine .Sisters, Patricia Harmon Desbiens, and Diane Harmon Andrews, and husband Scott Andrews, also numerous nephews and nieces. He was a cherished grandfather figure to 10 children. Steven Wayne Harmon was born on December 12th, 1959 in Portland Maine. Steven was very knowledgeable and worked in many different professions. He was very loving, and loyal to all who knew him. He was strong and courageous, kind, and had an amazing sense of humor. He fought his cancer fearlessly. To know Him was to love him. He was a man of many talents, and was very giving to his loved ones, and friends. Steven is preceded in death by his Father Richard B. Harmon and Sister Jean Marie Harmon Bryant.